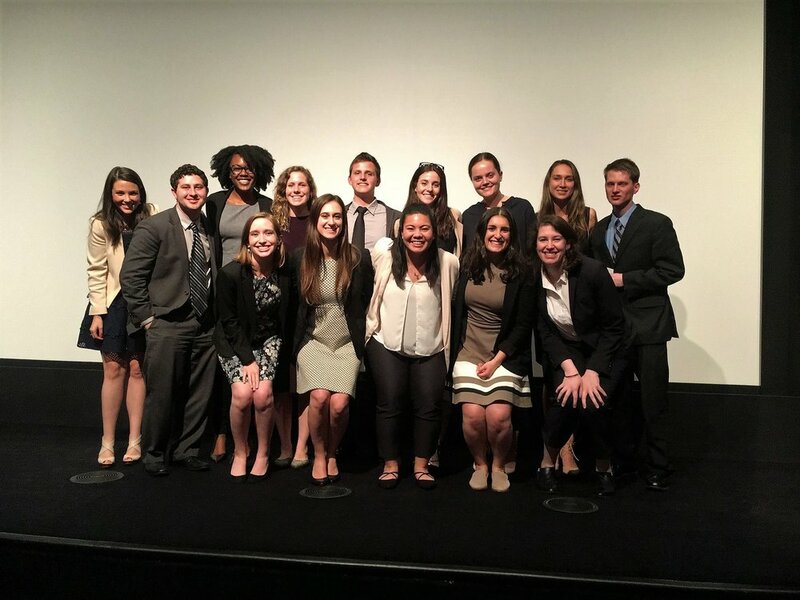 Last month, the 2017-2018 Fellowship class finally had the opportunity to present their findings from the research projects they conducted throughout this past year at the 2018 Work First Fellowship Symposium. Each Fellow had the opportunity to focus on a topic that both aligns with their interests and investigates how to empower low-income individuals in the 21st century workforce. The presentations, which took place at the Crosby Street Hotel in SoHo, covered a wide range of topics, such as Public Health, Financial Inclusion, Social Hiring, and more! Government leaders, policy experts, and staff members of the Work First Foundation and America Works had the opportunity to attend this event and learn about the Fellows’ research findings and policy recommendations. Included below is the video of the presentations, as well as a brief description of each Fellow’s research focus. As the Symposium marked the end of the 2017-2018 program year, the Fellows are thankful for the opportunity that they were given with the Work First Foundation and are excited to see the directions in which their research findings are taken in the future! Monetary bail is one of the most controversial aspects of America’s criminal justice system. While justice is predicated on the notion of innocence until proven guilty, the implementation of bail has led to the detention of over 440,000 individuals who have not been convicted of a crime. As a result, socioeconomic and racial disparities have been exacerbated continuing cycles of poverty in communities. Across the nation there have been bipartisan efforts to reform these practices including America Work’s bail diversion initiative which explores employment services as an innovative alternative to bail. In this study, I analyzed data of those who participated in the program to see if participation in a work program improved participants trial outcomes as opposed to those who did not. The objective of this research is to better understand what enables formerly incarcerated people to find jobs and stay employed. This question was examined both from the perspective of working formerly incarcerated individuals and the employers that hire them. Both groups were surveyed to find out what they believe allowed them to be successful and the impact of their employment. The data demonstrates that there is a disconnect between what employers think is critical for success and what employees do. It also reaffirmed the known connection between employment and reduced recidivism. This work explores the experience of public assistance recipients in New York City with the gig economy, and how workforce development stakeholders can accommodate this type of work. The data included in this study comes from a survey completed by public assistance recipients participating in a job training program in Manhattan. The results of this study serve as the basis for three recommendations for how actors within the workforce development community can increase access to gig work. This research explores food accessibility, security, and shopping preferences among SNAP recipients. Washington, D.C. serves as a case study to examine how place of residence can affect food security and access. Additionally, shopping preferences are examined for effects of employment on SNAP participant behavior. Results are leveraged to gauge the potential effectiveness of federal programs designed to expand access to healthy foods, specifically the Healthy Food Financing Initiative (HFFI), Food Insecurity Financing Initiative (FINI), Online Purchasing Pilot, and America’s Harvest Box. This research addresses the relationships between food insecurity, its origins, and workforce participation. The interest in this project was driven by existing research exemplifying that poverty, unemployment, and underemployment are all strong economic determinants of food insecurity. The purpose of this study is to uncover findings within these relationships to better serve public assistance recipients who participate in workforce development programs, such as America Works. A cross-sectional study was conducted by developing and administering a survey to America Works clients located in New York City. This work concludes with recommendations for policy and workforce development programs, as well as future research suggestions regarding food insecurity issues among low-income populations. The purpose of this work is to determine whether and to what extent health impacts an individual’s ability to find and maintain work. In order to conduct this research, I analyze data collected by a survey created for the purpose of a larger body of research surrounding client health. Ahead of conducting this research, I expected to find the following: that health issues do negatively impact clients’ ability to find and maintain employment, that many clients are eligible for but do not claim Supplemental Security Income or Social Security Disability Insurance benefits, and that individual health behaviors and indicators of health can account for differences in health outcomes. Survey results confirm the above inclinations in part and serve as the bases for various recommendations. Substance abuse and unemployment are greatly intertwined, yet often addressed separately. People who go through substance abuse treatment are often not provided with vocational services, and after going through treatment are often left with housing instability, financial troubles, social contacts from their past life, and a lack of purpose. This paper evaluated a new partnership between America Works and the Brattleboro Retreat, which aims to provide vocational services for individuals in recovery from substance abuse. This study used a qualitative analysis, including literature review and interviews, to determine the need for such a service, the benefits of it, and the initial impacts of it. his paper examines housing in metropolitan areas and evaluates the impact of alternative governance structures, including tenant associations and housing cooperatives. According to survey data collected from residents of the Washington, D.C. metropolitan area, tenant associations and housing cooperatives still maintain low public profiles as most survey respondents had not heard of these organizations and even fewer were engaged with one of them. While past studies and anecdotal evidence indicate that these governance structures can lower housing costs and improve stability, the survey results cannot support these claims with statistical significance as too few respondents were members of these organizations. This paper examines the importance of financial independence for survivors of domestic violence. The topics discussed include financial abuse and job retention by examining control tactics an abuser may use. One of the questions explored in this paper include: is there a relationship between survivors of domestic violence and job placement due to financial dependence on their abuser? This project explores the effectiveness of financial literacy education in low-income populations with a focus on public assistance recipients. Effectiveness of training was studied through the implementation of a financial literacy course and assessments of clients’ financial knowledge and usage of financial services through pre- and post-training surveys. A sample of nearly 200 participants on cash assistance from New York City’s Bronx, Brooklyn, and Staten Island boroughs participated in the study. This research serves to inform future financial literacy undertakings with this population, as well as gauge interest and and opportunities to better engage them through financial access technology - primarily a mobile banking, savings, and financial literacy platform with Finclusive Capital. My research focused on the awareness, marketing, usage, impact, and verification of the Earned Income Tax Credit (EITC) of America Works’ clients and the eligible population. The research methodologies employed included a survey distributed to clients as well as interviews with W-2 case workers, commercial and non-commercial tax preparers, EITC recipients, and other America Works staff. Results indicated that, while clients are generally aware of the EITC, most do not have a detailed, accurate awareness of the credit’s precise functioning. For those who find out how the credit works, behavior is typically altered to maximize the credit amount, which may result in either pro or anti-work impacts. Finally, EITC refunds are typically used for personal savings, back payment on utilities, and paying off debt.